Earlier this month, SC Aerospace Director Adrianne Beasley was on hand for the Boeing 787-10 Dreamliner took its inaugural flight in North Charleston. The flight marked a significant milestone for South Carolina –the 787-10 is the first Boeing aircraft to be manufactured entirely at Boeing’s North Charleston facility. She and SC Logistics Director Suzanne Dickerson paused to reflect on this milestone, specifically how industries in South Carolina can depend on one another to remain competitive. Beasley and Dickerson emphasized that cooperation between the state’s aerospace and logistics clusters, as well as its other industries, can advance South Carolina’s long-term economic competitiveness and is a natural step for industries so closely intertwined. According to Beasley, a strong workforce is only part of the answer as to why these industries have flourished here. This environment is precisely why industries are seeing such high growth rates in South Carolina. A study released by the SC Council on Competitiveness last year on the aerospace industry’s economic impact found that aerospace has a $19 billion economic impact on the state’s economy and accounts for 100,000 jobs. Growth in aerospace is a good sign for logistics as well, particularly where the clusters intersect. Beasley and Dickerson said the intersection between clusters is exactly where efforts to grow and advance industry in South Carolina can be maximized. “Specific technologies are rallying points for collaboration between these two sectors – advanced materials, virtual and augmented reality technologies, big data and cybersecurity are examples,” Dickerson said. The completed 787-10 Dreamliner is a perfect example of the synergy between industries that makes South Carolina a great place to do business. For more on SC Logistics and the Council on Competitiveness, please visit their websites. SC Aerospace Chairman and Ranger Aerospace CEO Steve Townes represented South Carolina’s aerospace cluster at two industry-focused events in the past month. On March 28, Townes spoke at the German Southeastern Aerospace Forum at the Delta Flight Museum in Atlanta, Ga. His presentation on aerospace growth in the Southeastern US was part of a larger afternoon session focused on the aerospace industry in the Southeastern US. Townes also moderated a discussion following his presentation. Other sessions of the program included an introduction to the aerospace industry in Germany, company presentations and time to network with the German delegation hosted by the German American Chambers of Commerce. Townes also presented at the 28th annual AeroMat 2017 Conference & Exposition in Charleston on April 10. His presentation discussed methods for growing the aerospace industry in South Carolina. AeroMat attracted speakers and attendees from all over the country. The conference speakers covered both industry and technical topics relating to the aerospace industry and its future. On a visit to Lockheed Martin’s facility in Greenville on April 10, 2017, U.S. Senator Lindsey Graham recommended that the defense contractor receive the contract to build the next training fighter jet for the U.S. Air Force. Lockheed is one of four companies that have bid for the contract which would replace the current training fighter jet that has been in use since the 1950’s with a more advanced jet capable of training pilots to fly fifth generation planes. Last year, Lockheed and Korea Aerospace Industries developed the T-50A fighter jet which trains pilots to fly F-16, F-22, and F-35 planes. Lockheed has two of these jets that are currently in use and there are similar jets in South Korea that have trained more than 2,000 pilots. If Lockheed is awarded the contract, the Greenville facility would be responsible for assembling the cockpit, interior, and software, while the fuselage, wings, and tail would be assembled in South Korea. All of the test runs would be conducted out of the Greenville facility. Officials expect that Lockheed would earn $8 billion to $10 billion in business and gain approximately 200 new jobs at the upstate facility over the next 16 years. This job growth would add to the already 250 new jobs that will be created now that the F-16 production will be moved to Greenville from the facility in Fort Worth, Texas. The contract will be awarded by the end of 2017 or early 2018. On April 3rd, Toray Industries, Inc. announced the consolidation of its carbon fiber composite materials businesses in North America. Toray Composites (America), Inc. and Toray Carbon Fibers America, Inc. have been consolidated into one entity, Toray Composite Materials America, Inc. Along with the consolidation, Toray will create Commercial Business Sectors which officials say will increase the value to customers, expedite the time it takes to get products to market, and strengthen key relationships. Toray’s facility in Spartanburg will become an integrated facility, producing precursor, carbon fiber, and prepreg in a single location. This facility will continue to play a huge role in the growth of the company in North America. On March 15th, the SC Aerospace Education Work Group along with nearly 40 educators and industry representatives convened to discuss possible implementation of the Southern Regional Education Board’s (SREB) Aerospace Engineering Curriculum in South Carolina high schools. When SC Aerospace formed the Education Work Group last year, one of the top priorities established was to identify an aerospace curriculum that could be implemented in high schools across the state. The Education Work Group engaged in research for one year and ultimately selected the SREB curriculum to formally recommend to the South Carolina Department of Education (SC DOE). Representatives from schools across the state attended the March 15th meeting and were provided information on the curriculum along with a Memorandum of Understanding to implement the curriculum. A representative from the SREB presented the details of the curriculum and the requirements for the schools that choose to implement it. A representative from the SC DOE was in attendance and expressed the department’s support for schools that choose to implement the curriculum. 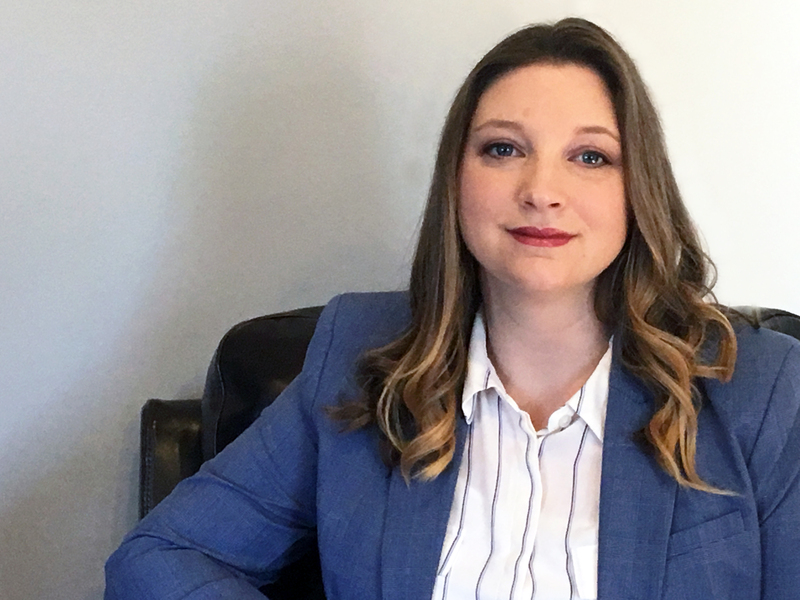 Adrianne Beasley has been tapped to replace Deborah Cameron as director of aerospace initiatives for the South Carolina Council on Competitiveness effective March 31, 2017. After three years leading the Council’s SC Aerospace initiative, Cameron is resigning the position and relocating to Colorado. Beasley most recently served as program manager for the University of South Carolina McNAIR Center for Aerospace Innovation and Research, where she was an integral part of the strategic design and build out of the Center. She also planned and managed aerospace-related educational, research, STEM and economic development programs. Prior to moving to South Carolina in 2013, Beasley served as marketing manager for HEICO Parts Group (HPG), part of the HEICO Corporation, in Hollywood, Fla. She worked directly with HPG customers across airlines, overhaul shops, satellite manufacturers, and commercial and defense equipment producers worldwide. “After working alongside Deborah on many projects, I’m excited to join the Council and to continue the work of growing and developing South Carolina’s aerospace cluster,” Beasley said. Beasley currently resides in Columbia. She earned a Bachelor of Science in Business Administration and Finance from the University of South Carolina’s Darla Moore School of Business and is certified by the University of South Carolina in research administration. The South Carolina Council on Competitiveness is a nonpartisan, business-led non-profit organization committed to advancing the long-term economic competitiveness of our state, industries, and citizens. Our work is accomplished through: actionable research on opportunities and threats to South Carolina’s competitiveness; support of industry clusters that provide South Carolina a competitive advantage; and education and workforce development initiatives that ensure all South Carolina’s citizens are equipped to compete in a global economy. We execute our work through partnerships recognizing that our state’s economic success is secured through sustained collaboration among the private, public, academic and non-profit sectors. For more information, visit www.sccompetes.org. Trident Technical College broke ground for the S.C. Aeronautical Training Center on November 4. If this news wasn’t great enough, it was followed a few weeks later by the announcement that the Zucker family is donating $6 million to Trident Tech in support of the facility. SC Aerospace will hold its May 2017 quarterly event at Trident Tech and attendees will get a briefing on the facility and the offerings that will be available. The facility is expected to be a showcase for the industry and will continue to demonstrate that South Carolina is taking the necessary steps to build the talent pipeline of the future for the industry. 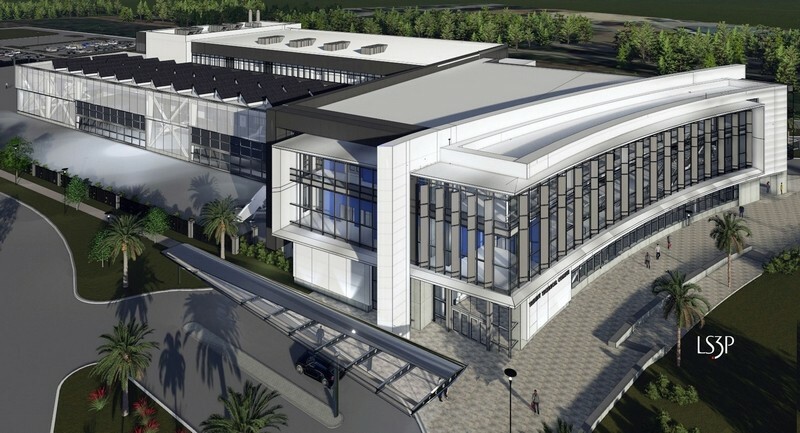 The $80 million, 224,000-square-foot-facility will house the school’s aeronautical programs and provide classroom and lab space for advanced manufacturing classes in areas including robotics and automation, mechatronics, and additive manufacturing (industrial 3-D printing). Currently, the college’s aeronautical programs are located in five buildings on two campuses. Lack of space has meant waiting lists for popular aeronautical programs. The new facility will add more training space and increase efficiency by consolidating classrooms and labs into one building designed specifically for aeronautical and advanced manufacturing training. The center is expected to open in the fall of 2019. Senator International landed its first international cargo flight from Germany at Greenville-Spartanburg Airport on Nov. 5, 2016. This service will provide a direct connection for manufacturers and distributors to ship products directly from the Greenville-Spartanburg Airport to Munich and Frankfurt. Greenville-Spartanburg’s location in the Southeast U.S. makes it an ideal location for shipping items to reach as far as Washington, D.C., and Jacksonville, Fla., quickly. By shipping to both Frankfurt in Northwestern Germany and Munich in the southeast, products can be transported to continental Europe faster than ever. Click here to read more about Senator International’s international cargo service out of Greenville-Spartanburg.